The Battle System provides various options and information. 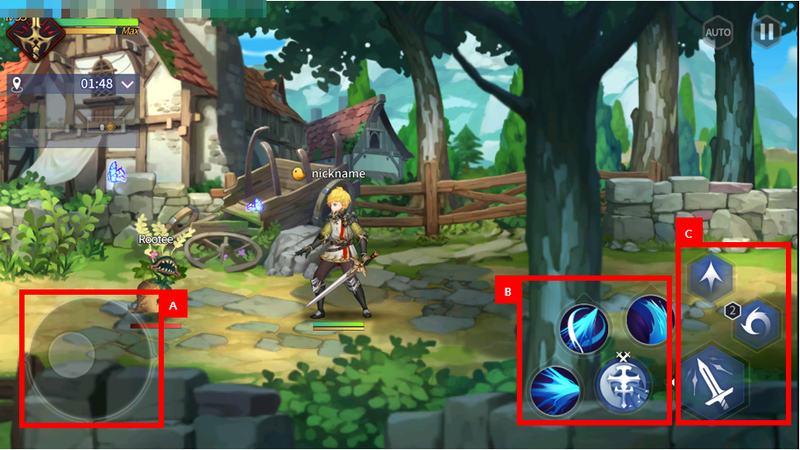 - The top left of the Battle Screen shows the character type, level, and HP . - The boss HP and name are displayed in the middle of the Battle Screen. 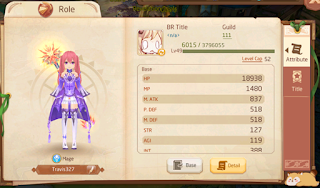 - The indicator (x number) beside the boss's HP shows the number of HP gauge stacks. - The Battle Map is displayed below the character's information. - Time remaining, monster location, and geographical features are displayed on the map. - Your location is shown with a yellow icon. - When a battle is finished on the corresponding map, the message “clear” will be displayed. 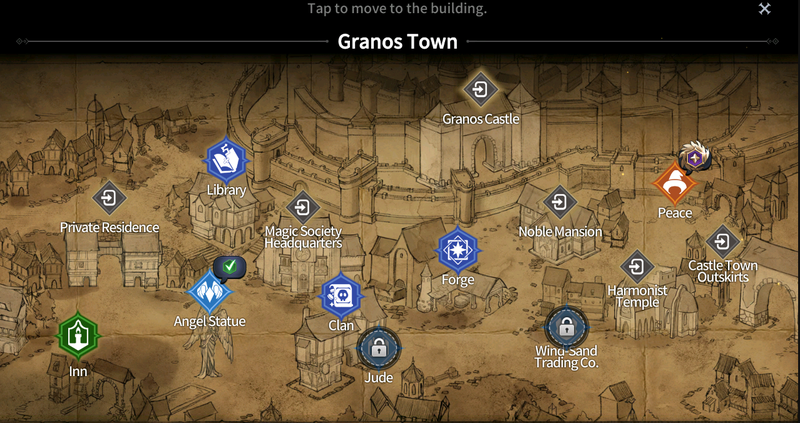 You can then move on to the next map by following the “go” icon. - Magia provides an auto battle feature. 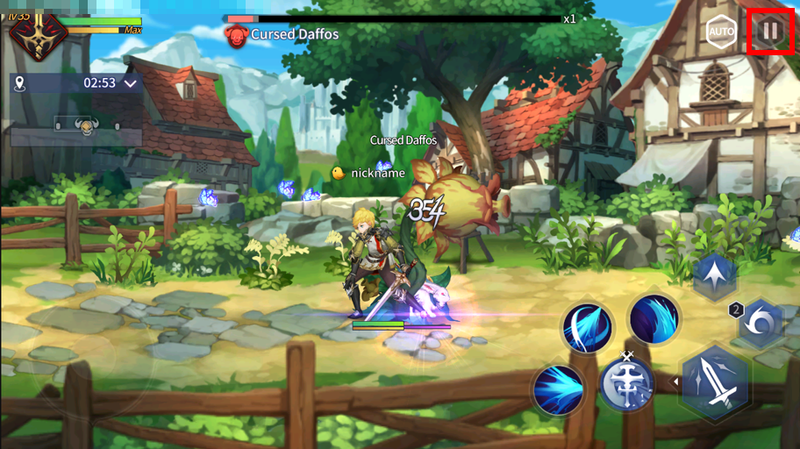 - Tapping the auto icon at the top right activates the auto battle. 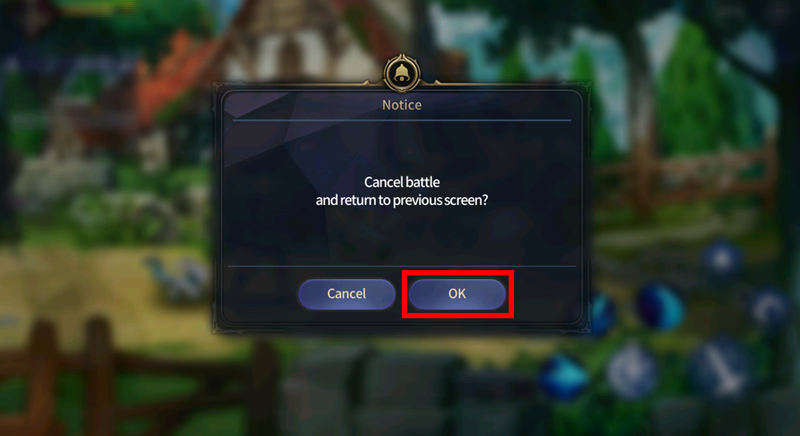 - Tap on the corresponding icon again to turn off the auto battle. 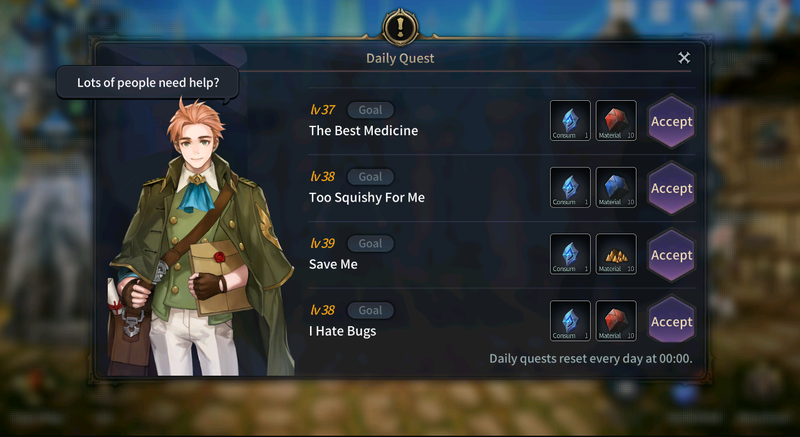 - [Adventure Stages] accessible through certain quests are not supported by the auto battle feature. - To pause the battle, tap the pause icon at the upper right corner of the screen. - You can end the game by tapping the [OK] button in the pause menu. The game's basic controls are as follows. However, some of the controls may differ for each character depending on their skills. - The analog stick can be used to freely move the character from one place to another. - When a skill is used, a cooldown is applied for a certain period of time. - You are unable to use a skill during cooldown. - The skill button must be reactivated to use the skill again. Once the cooldown is over, a skill could be reactivated. - Some characters have unique skills that can’t be unequipped. - Unlike set skills, the normal attack and jump action can be used repeatedly. - Evasions can be used repeatedly but only for the specific number of evasion counts given to the character. The evasion skill may be used for different purposes other than evading an enemy. The evasion feature can only be used repeatedly up to the number of times indicated above the evasion skill. 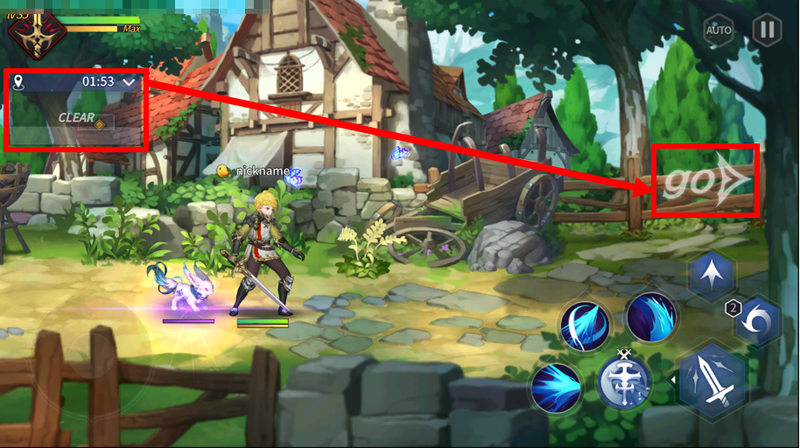 After continuously using the evasion skill, you must wait for the cooldown to finish to activate the skill again. Various information is displayed in the Magia Battle Results window. - The stage clear status is shown. - Name of the stage played. 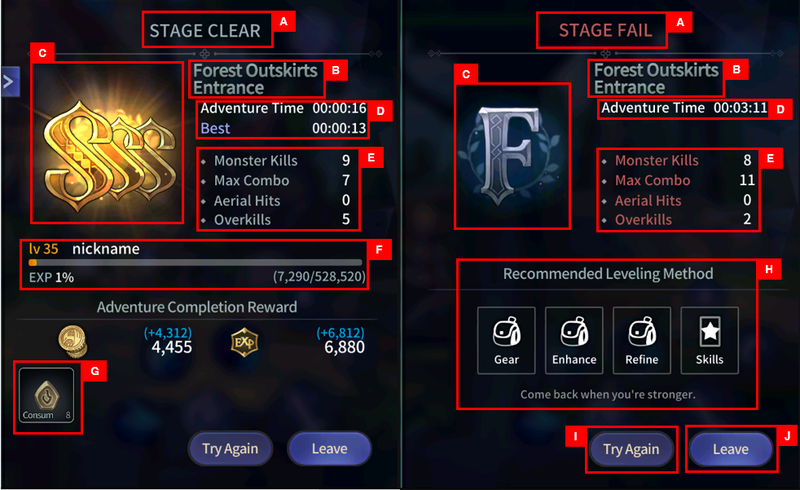 - There are 8 different stage clear ranks: F, D, C, B, A, S, SS, and SSS. Different rewards are provided for each rank. - Ranks are calculated based on clear times, max combos, aerial hits, overkills, etc. - Overkills: the number of enemies with an HP lower than 30% defeated in a single blow. 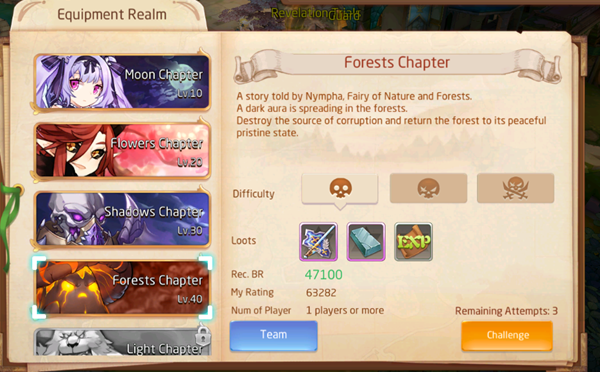 - You can view the amount of EXP earned for clearing the stage, total EXP, and character level. 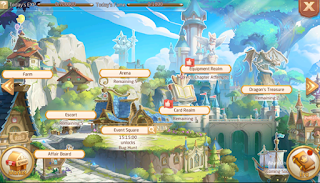 - Various rewards are provided to the Adventurer when a stage is cleared. 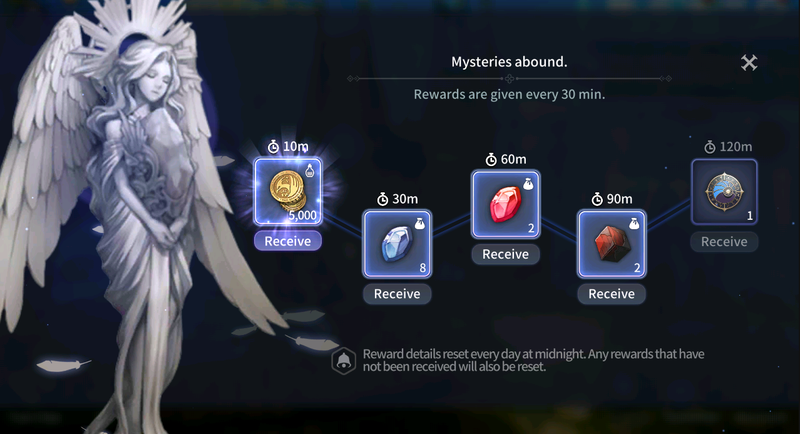 - Depending on the grade of the stage cleared, bonus rewards can be acquired. - The recommended leveling method can be viewed upon stage failure. - Using the recommended leveling method to develop gear and skills increases the chances of clearing the stage. - Allows you to play the stage again. - Allows you to move to the World Map. - You can move to a specific location by tapping its icon. 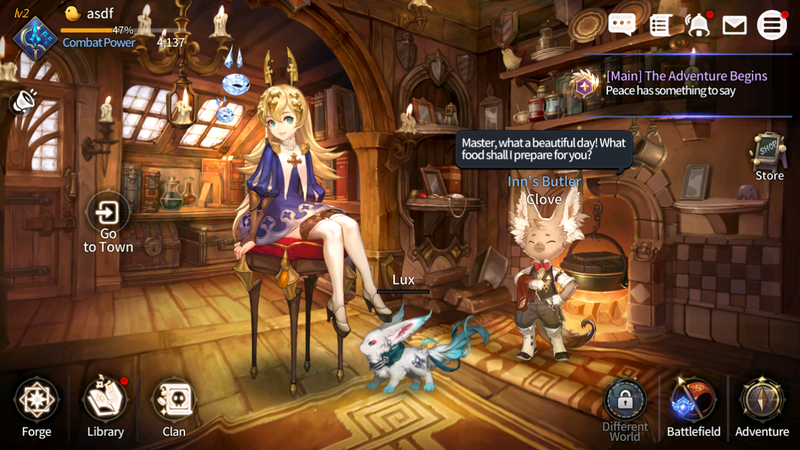 - The Inn serves as the basic lobby for Adventurers. - The angel statue provides rewards at set intervals. You can collect up to 5 rewards a day. - View galleries of various gear, monsters, foods, character codices, etc., at the library. - Where adventurers craft gear, enchant, and exchange gear potential features. - Provides various requests to Adventurers, which they can complete for rewards. 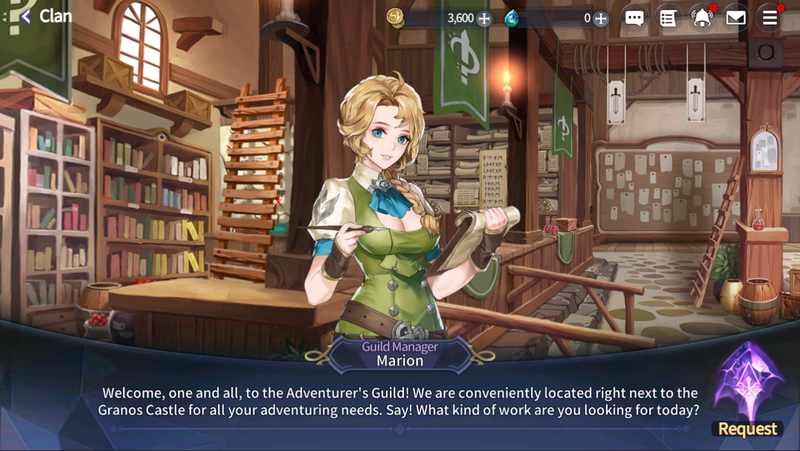 - Adventurers can access their daily quests by talking to Jude. Laplace M Android/iOS Tip #1: Level Upgrade. First of all, the most important thing is leveling up of course! During the game, most functions are unlocked through leveling up, such as Card slots on your equipment, Guardian slots used by Arrays, which are both limited by your level. So then, if you wanna become stronger you must be sure to complete all your daily quests and obtain full Exp! Laplace M Android/iOS Tip #2: Equipment Gameplay. Replaced equipment can also be dismantled, giving you materials to reforge your equipment with, you can get better attributes through reforging! Next you should spare no effort to enhance as much as you can! Laplace M Android/iOS Tip #3: Soulcard. 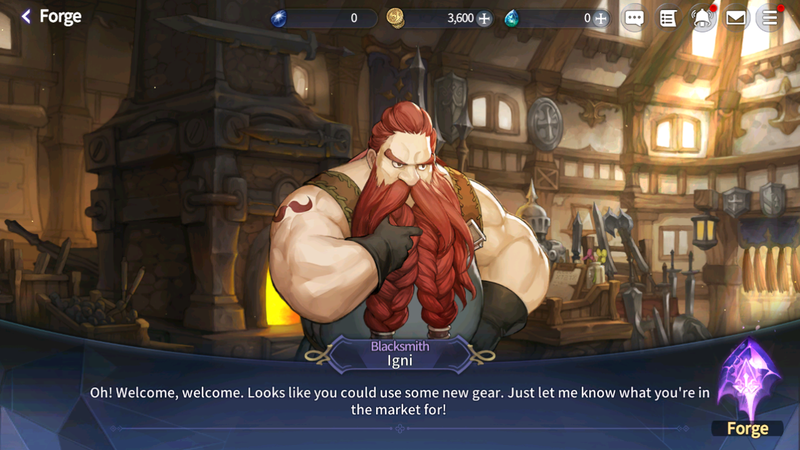 Of course, if you already have equipments then you should fill in its slots! Only the shiny Cards are worthy of a grand Guardian’s stature! Hmmph! 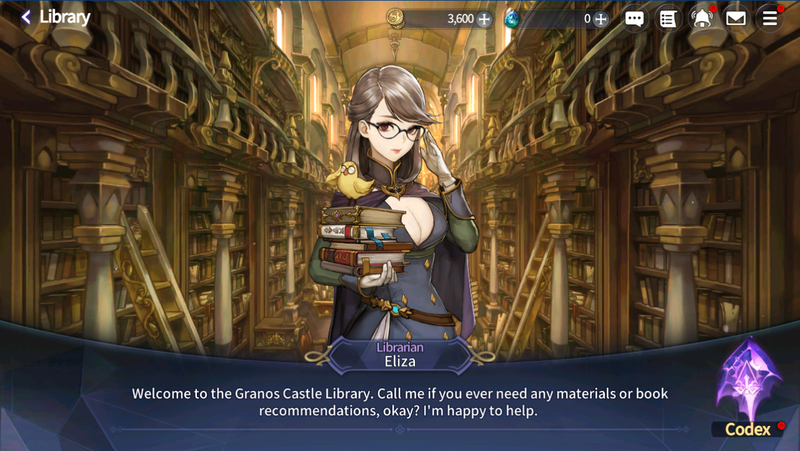 I’ll farm this Card Realm: Goldsand Maze first I guess! 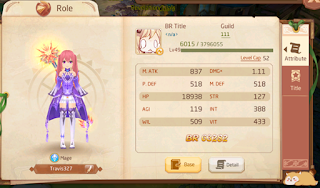 Laplace M Android/iOS Tip #4: Guardian Gameplay. Haha, the most important thing must definitely be left ‘til last. Below let’s learn how to enhance Guardians. First of all, let’s take out our Egg-Catching Net and Guardian Island, it’s time to check out your luck! If you only obtain a one-star, don’t feel bad, just carry on developing… all gold shines, after all. Don’t forget to place your Guardian in Deploy and Array positions! What...you’re asking why your Guardian hasn’t levelled up? Errrm, the Guardian’s Star Lv. 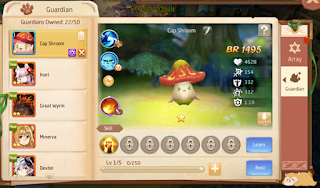 will determine their level limit, so if your Guardian won’t level up, remember to first upgrade their star lv.! Laplace M Android/iOS Tip #5: Character Attributes. P/M-ATK: Increases damage of Physical/ Magical attacks. P-DEF: Reduces physical damage taken. M-DEF: Reduces magical damage taken. HP: If you lose all your HP, you’ll die. STR: Affects Soldier and Assassin classes’ DMG×: Within 0-200 STR, every 10 STR will increase character’s DMG× by 1%. After exceeding 200 STR, the DMG× increase will be reduced as STR increases. AGI: Affects Soldier and Assassin classes’ DMG× and Crit: Within 0-200 AGI, every 10 AGI will increase character’s DMG× by 0.4% and Crit 0.3%. 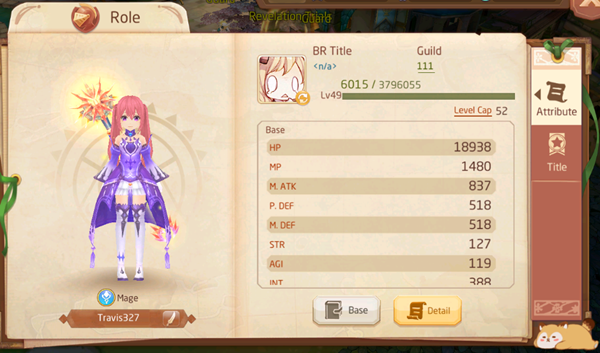 After exceeding 200 AGI, the DMG× and Crit increase will be reduced as AGI increases. INT: Affects Mage and Cleric classes’ DMG×: Within 0-200 INT, every 10 INT will increase character’s DMG× by 1%. After exceeding 200 INT, the DMG× increase will be reduced as INT increases. SPI: Affects Mage and Cleric classes’ DMG× and Crit: Within 0-200 SPI, every 10 SPI will increase character’s DMG× by 0.4% and Crit 0.3%. After exceeding 200 SPI, the DMG× and Crit increase will be reduced as SPI increases. VIT: 1 VIT will upgrade character’s HP, as the character’s level increases, the set amount of HP increased will also increase. 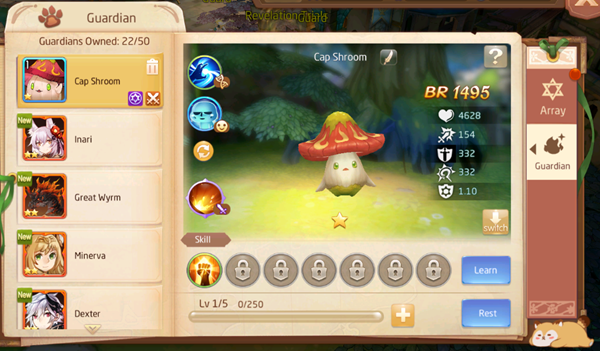 Every 100 VIT will increase 1% HP and 1% Crit.